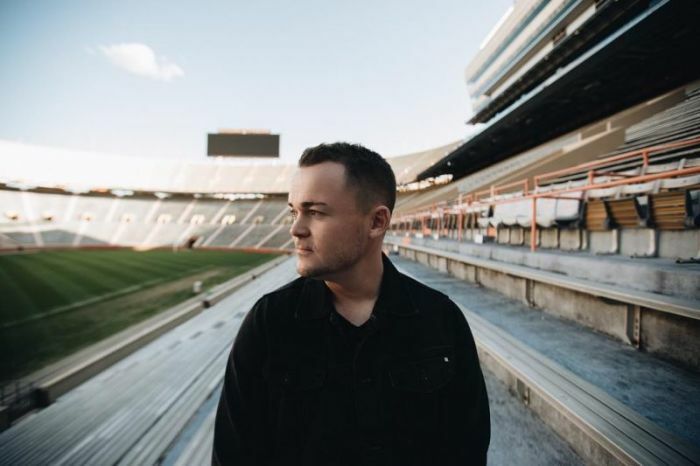 Nick Hall, founder of PULSE, a student-led prayer and evangelism movement, believes a "new generation of Billy Grahams" is on the verge of rising up as the United States continues to experience moral and spiritual decline. 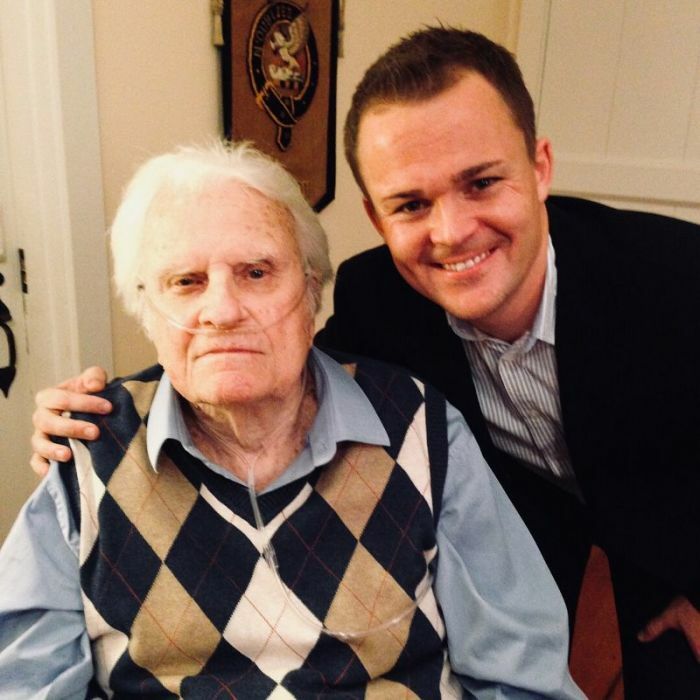 "When Billy Graham began his ministry, society looked very dark," Hall told The Christian Post. "He helped spur the Youth for Christ movement that shifted culture back to Jesus. The same thing is happening today. We're seeing a lot of darkness and opposition in culture today, and in response, a generation is rising up, standing up on the hope of Jesus in a way that is loving and putting Jesus first. They're not leading with issues that will divide, but with a Jesus who welcomes everyone. He calls for change and repentance, but first welcomes broken people." Hall speaks from firsthand experience; dubbed a "voice to the next generation," the evangelist — himself a millennial — has shared the Gospel in person to nearly 3 million students. PULSE, an evangelism-centric movement Hall started on a college campus in North Dakota back in 2006, is today a large-scale evangelistic effort that spans the entire country. "At our events, we're seeing thousands of students giving everything for Jesus," Hall said. 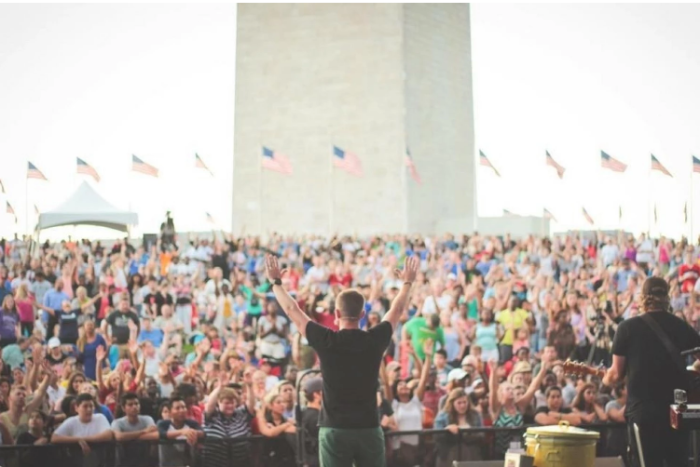 "They're coming out by the busloads, filling the National Mall, on fire for the Gospel. This is a generation that cares deeply for their faith, while also caring deeply for their neighbor, for the refugee and for the outcast." "I look into the eyes of teenagers and college kids today, and I'm encouraged," he continued. "There's power in unity, and that's something this generation understands. They understand lifting one another's arms to something bigger than us." Graham died in February at age 99. Hall, who leads the student advisory team for the Billy Graham Evangelistic Association, said the famed evangelist left behind a ministry model that churches today would do well to follow. "There are a lot of voices that divide and share opinions on a lot of topics, and it's only one thing that's needed. The world needs to hear one thing, and that's Jesus," Hall said. "Billy Graham had a single-mindedness in staying on the message of Jesus. I don't think it's a coincidence that the year Billy Graham passes we have the biggest generation of youth ministry that we've seen in decades. It's a literal and spiritual passing of a baton, and that desperately needs to go on." As a younger man, Hall spent time with Graham at his home in Montreat, North Carolina, attended press conferences with the evangelist, and even carried his luggage as he traveled to evangelistic events around the world. "He made a profound impact on my life, him, his team, and his organization," Hall said. "I was called early on to preach the Gospel, and Graham set that example for me. I feel privileged to have been close to him and learned from him firsthand. When people hear his name, they think of a celebrity, but he really was a very humble, Gospel-driven individual. His message of 'Only Jesus' is one we incorporate to every event we hold across America." PULSE is gearing up for several events later this year: Pulse Twin Cities, scheduled to be held at the U.S. Bank Stadium in Minneapolis on May 18, will feature popular artists Lecrae and Hillsong Young and Free and a message from Hall. In October, Pulse will hold its third annual Together gathering at Texas Motor Speedway in Fort Worth, Texas, an event focused on encouraging young people to grow in their faith. These events, Hall said, seek to not only minister to an entire generation, they are designed to equip students to be agents of reconciliation and ambassadors of hope and love. "I believe we are at the beginnings of another great move of God, but it's gonna take all of us lifting up our arms together, throwing in support and risking it all, because faith means risk," he said. "We can't play it safe. That's what I'm always encouraging our ministry friends; that's how we got here, so we can't keep doing it the same way. There has to be a risk and urgency in sharing the Gospel." He added, "This is the greatest message, it needs to be everywhere. We are trying to put forth solutions that match the need of a generation. We don't need a 'fix-it' program; we need a movement and commissioning of a lifestyle."